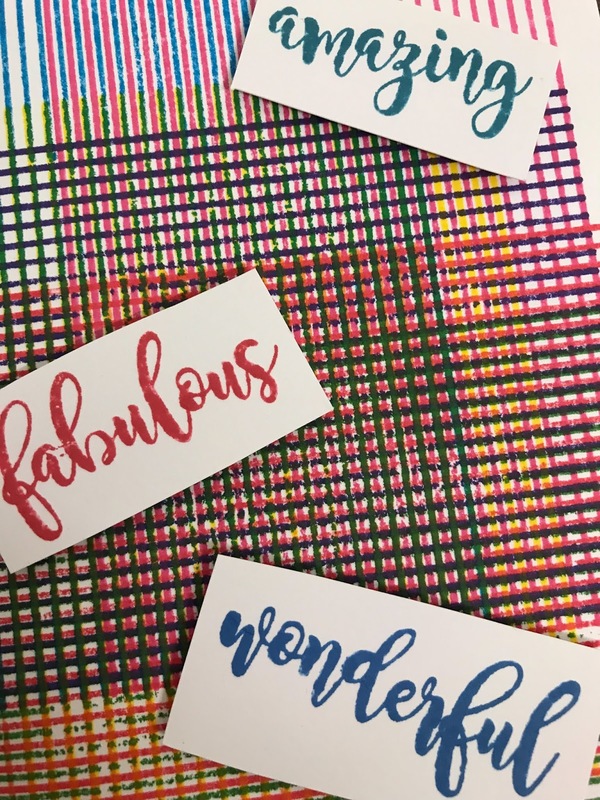 I'm back with another GD post for Uniko's Stencil Sunday spot and this time I've decided to get at least one card ready for Christmas. I always always struggle with Christmas cards. 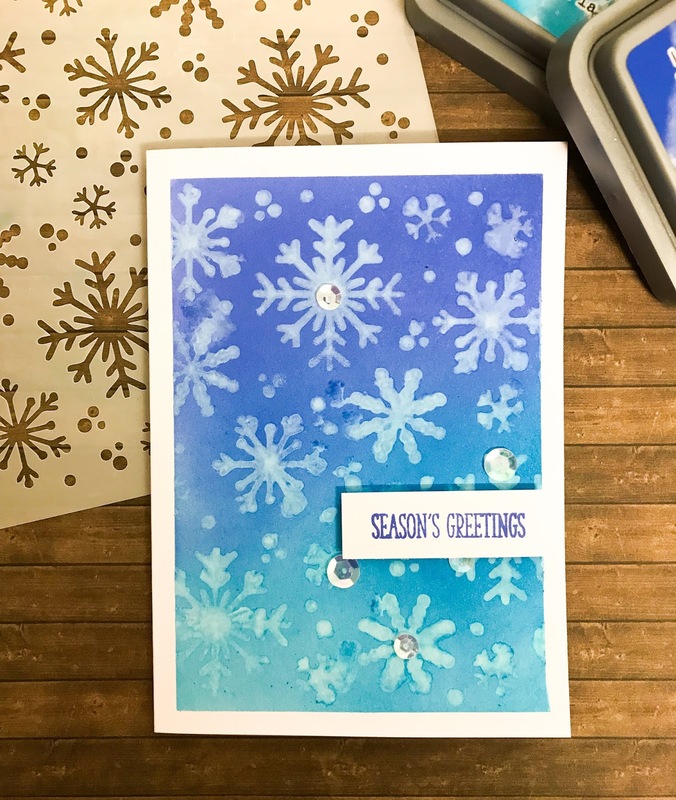 I need so many, so when I saw the Let It Snow stencil in the gift pack Bev sent me, I knew it would give me a quick, easy and effective way to get at least one under my belt! I took a card blank and masked off the edges. I then took the two shades of blue Distress Oxides that I have in my stash (I feel I need more of these!) and started blending the darker (Blueprint Sketch) on the top of the card, before adding Mermaid Lagoon to the bottom. I blended until I got a smooth blend where they met, sort of half way and sort of at an angle. I then placed the stencil on top and with a lightly damp cloth, I dabbed it through to remove some of the colour. It spreads a bit under the stencil, but I never mind this as I think it gives the impression of melting - at least with this stencil. I kept the stencil on and with some white pigment ink dabbed it through as well on top, to give the snowflakes a bit more definition. A few sequins and a very simple sentiment popped up on foam tape and that is my first Christmas card done. Definitely one to try again - maybe in different colours? Thank you so much to Bev for having me all through this month and thank you for joining me! Happy Crafting Everyone! I feel a little like Buddy the Elf today. 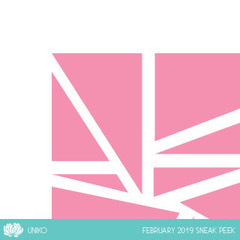 I want to shout 'Uniko's coming, Uniko! I know her, I know her!' because today is RELEASE DAY! And you can get all the lovely products that myself and Bev and all the amazing design team have been showing you all week. Today is a fabulous blog hop and Treasure Hunt. A little more sedate than Anneka Rice (just aged myself there!! ), but just as exciting. Entries should be emailed no later than Thursday 28th February 2019, for the winner to be announced Friday 1st March 2019. And the prize?? The ENTIRE 7th Birthday February Release - Amazing!! 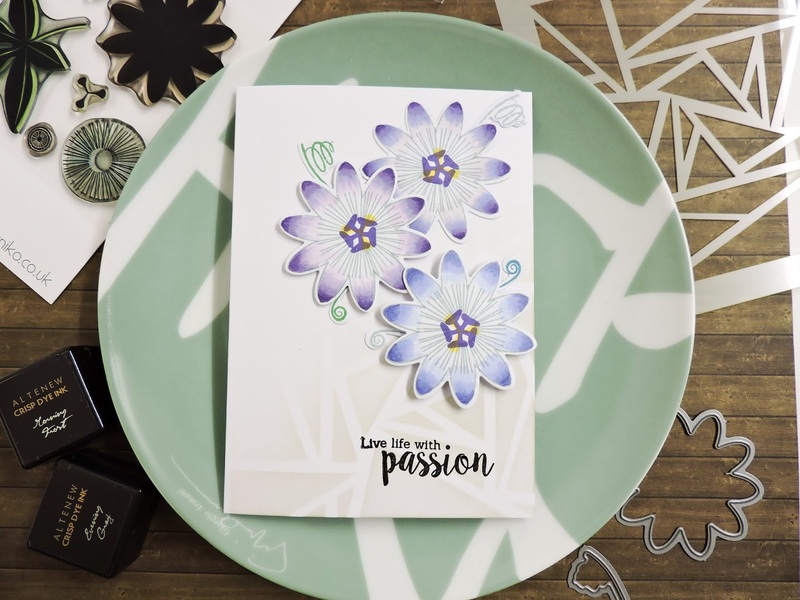 That's 6 clear stamp sets, 2 co-ordinating designer dies collections and 1 stencil design. Now that's worth entering! And not only that, but Bev will also be drawing a random comment from the hop to win a £25 clear stamp prize package. Clearly Bev is well and truly in birthday mode! 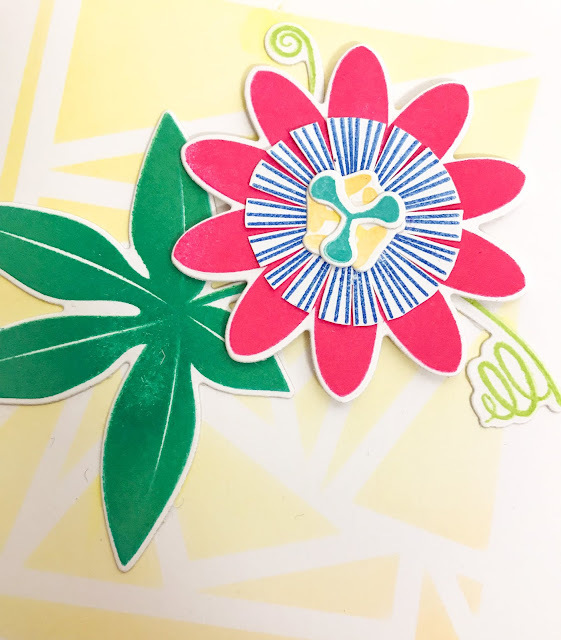 For my card, I couldn't resist using that glorious Passiflora again. This time I stamped the outline image onto Copic friendly cardstock with Memento London Fog. I then added in details in different Memento inks and coloured the leaves with different shades of B and BV Copic markers. 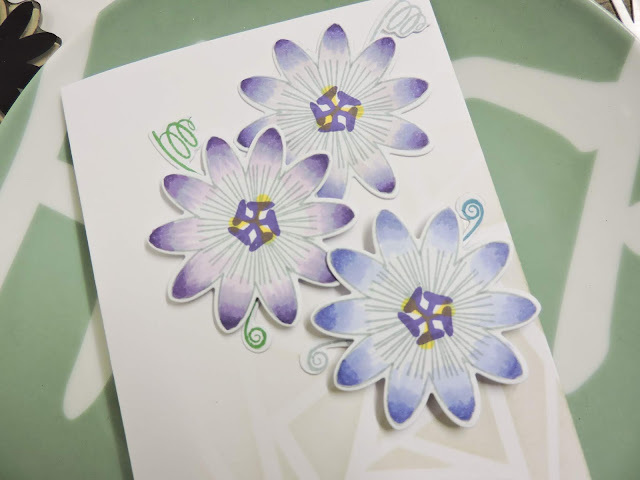 I stamped the tendrils with some green, teal and grey Memento ink and cut all the images with the coordinating dies. I could not resist using that abstract triangle stencil again - it's third outing this release, so you can tell how much I love it! - and did some very soft blending in the corner (again inspired by Lisa's post!) in greys. 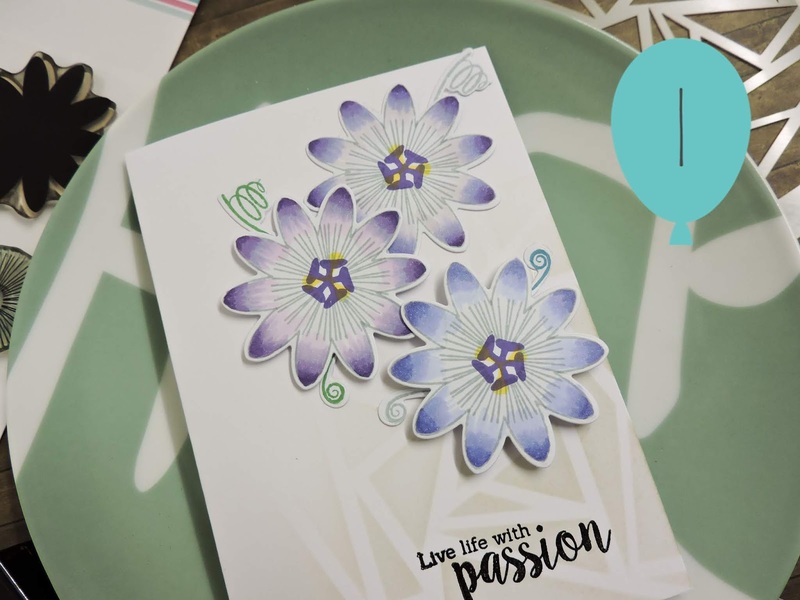 I added the flowers to the top of the card and the sentiment to the bottom on top of the stencilling. Next on the hop is Carol! Happy hopping, and good luck! This is the last day of the release sneak peeks and I'm so glad I could be here as GD to share them all with you. I've had a great time! Today I'm sharing this rather quirky stamp set called Background Blocks Pinstripe. As soon as I saw this set, I immediately thought of tartan - can't get away from the fact I'm Scottish! - and with my stamping tool I set to work to create a criss cross background by turning my card base and moving it up and down. I used a lot of different colours of my little Memento Dew Drop inks. I have a small collection and used most of the brightest colours for as rainbow an effect as possible. As you'd expect, it ended up fairly dark in the centre with the colours showing at the edges, but I love the way it turned out. I used the Yes, You set (this is added to release day orders of £25 or more up to Sunday 17th Feb 9pm GMT or while stocks last. After that you can buy for £5) to stamp out several of the words in bold colours which I attached randomly with foam tape. The little Yes, You in the corner then links to the inside of the card where I've stamped you are loved. A great way to remind people that we are there for them! Thank you so much for joining me for all the sneak peeks. I will be back tomorrow for the blog hop at 9am - definitely worth joining in for a fabulous prize! Happy Crafting Everyone! 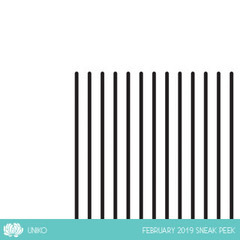 Welcome back to Day 4 of the Uniko February Release. Today we are introducing a floral set called Passiflora. We had one of these flowers in our garden in Scotland, that amazingly my mother grew from a seed. It's a climber with little tendrils and I can remember seeing it curling round the branches of the dead plum tree we had at the very back of the garden. It flowered every year and one year we had a fruit. It never really ripened though, but we enjoyed disecting it! There are so many elements to this and you can build up layers by stamping. There's also an outline that you can colour in too. I've gone very much off the natural colours and built up my plant with bright colours from my Ranger Dye Ink sets that haven't seen much of the light of day for a long time. They are so bold though that they were perfect for this set. 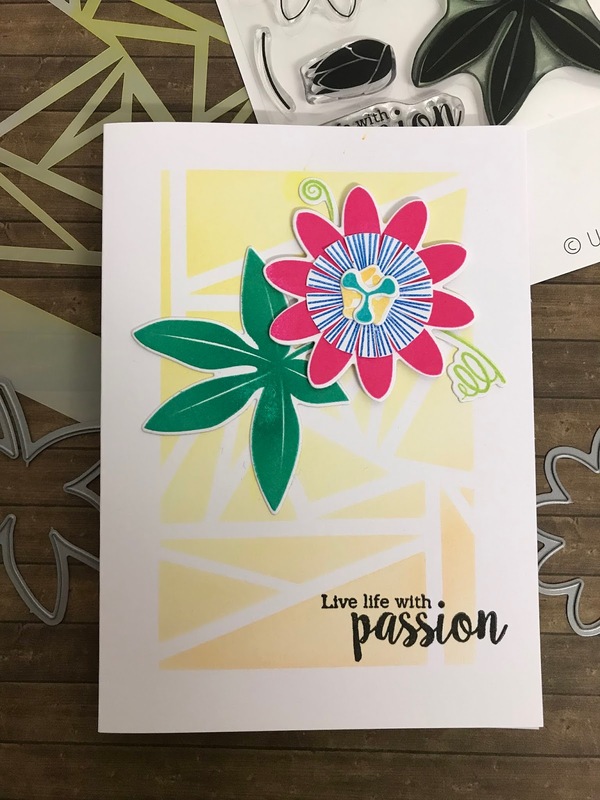 I masked off a background area on the card base and used some yellow and orange distress inks with the Abstract Triangle stencil (see Tuesday's post) to create the background. I then stamped all the separate elements of the flower and die cut them out. It was then just a case of building up the flower in the corner. I will admit I had to look at a picture just to check my memory was correct where all the different bits went! A sentiment from the set in the bottom corner finished the card off nicely. I think this is my favourite from the release so far! Tomorrow I'll be sharing the last new set and then tune in on release day on 11th for the blog hop and a fun way to win the entire release! This has a grungy and mixed media look to it, and it's something I would never have picked up, but I had a lot of fun with it. It's great for texture - like the name suggests! I thought with Valentine's Day coming up, I might as well get a little romantic with this set. 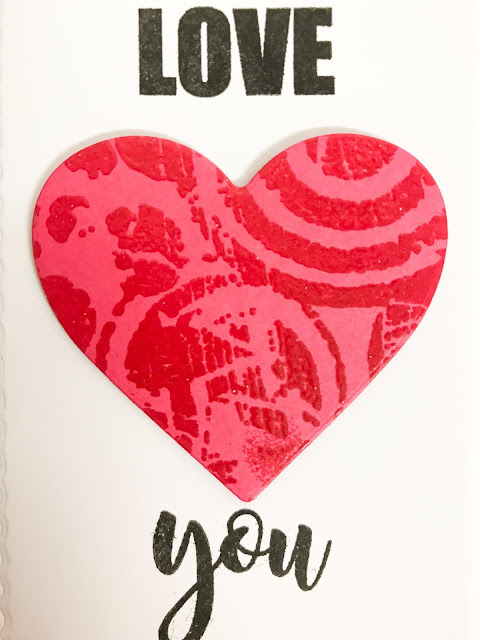 I took the graffiti texture block and stamped it onto various shades of cardstock with some Versa Mark ink. 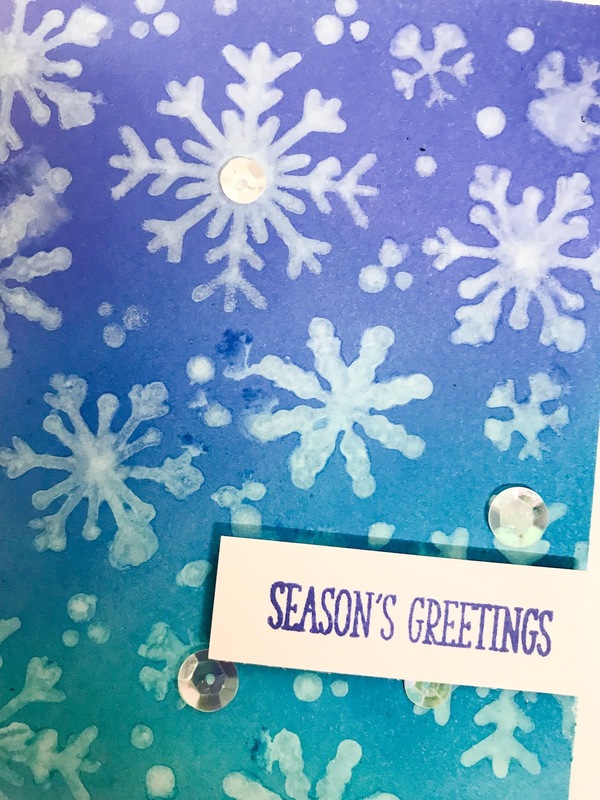 I then took some clear embossing powder and heat set it. 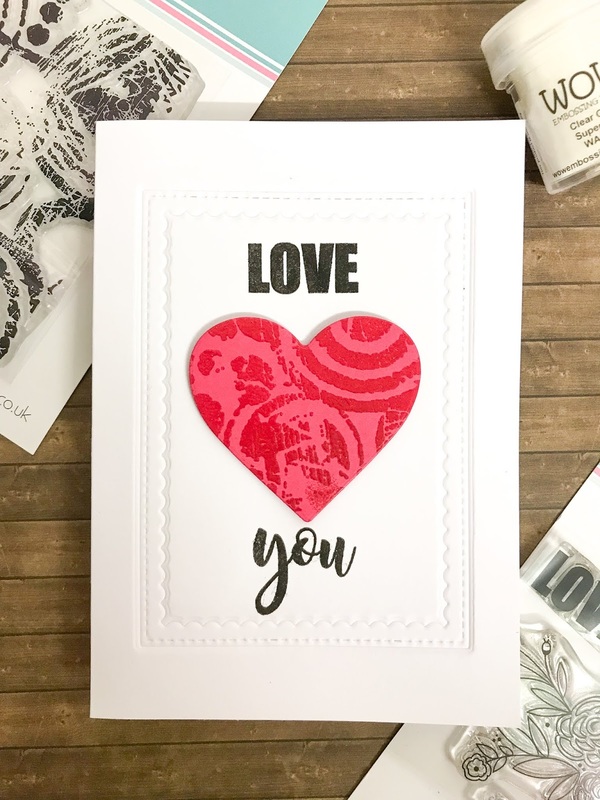 I had an MFT heart die in my stash and cut out one from each piece of stamped cardstock. I felt it would look too CAS on a card blank on its own, so I added some dry embossing with another MFT rectangle frame die I have that doesn't get much use, but was perfect for this - it's been used 4 other times now too! Using my stamping tool, I then stamped the sentiment above and below where the heart would be and stamped in VersaFine Onyx Black. 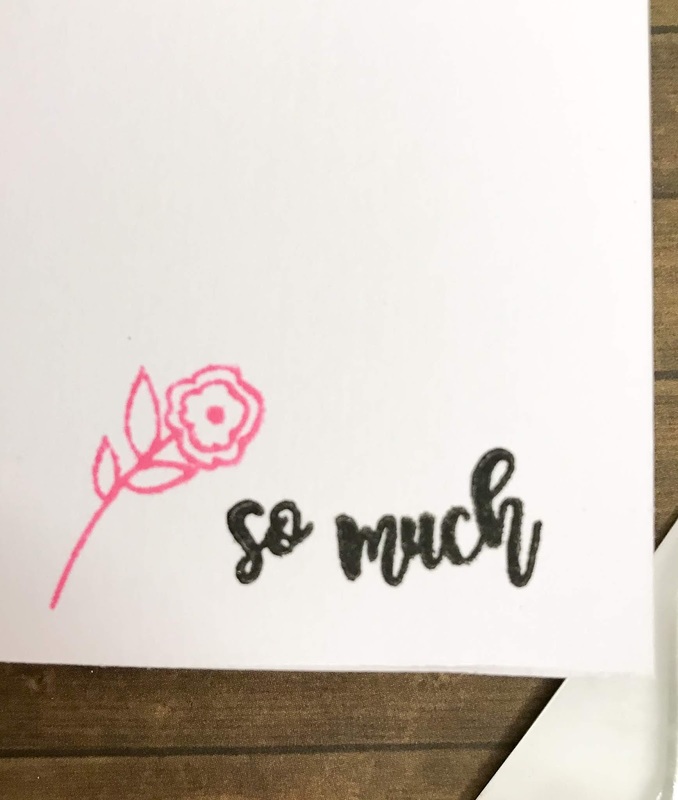 I added a little detail on the inside with some of the smaller images from the So Much Clear Stamp Set (I get a lot of use from this little set, I love it!) and that was it. Not long to go now until release day on Monday 11th and a fabulous giveaway. Hope you're enjoying all the intros from all the team! 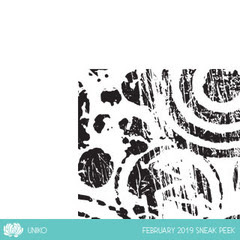 Here I am again with another sneak peek and a card for Day 2 of the Uniko February Release. 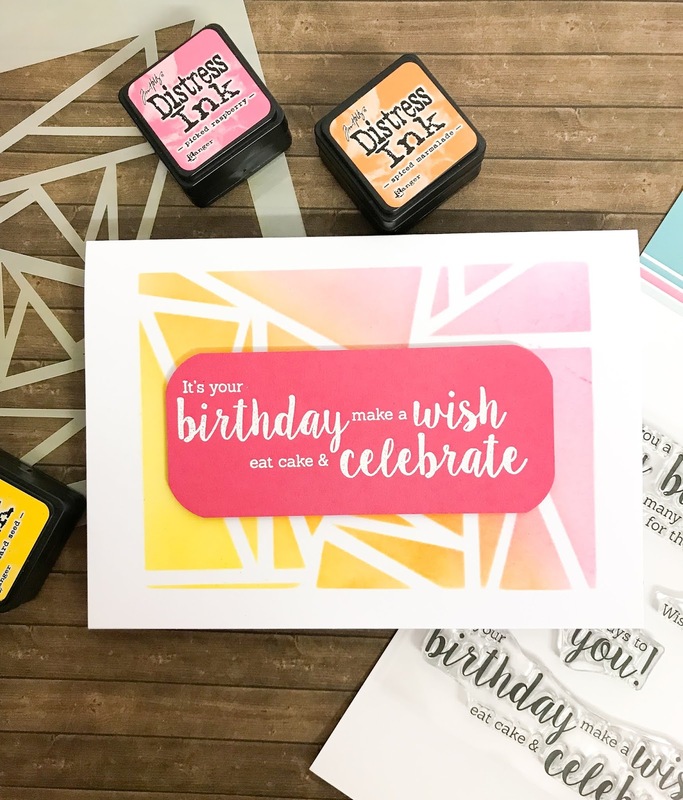 Today we are sharing a new stencil and a new very useful birthday sentiment stamp set. 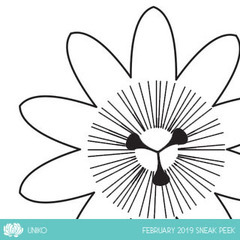 I love Uniko stencils and I particularly like this one for its quirky design. It's called Abstract Triangles. 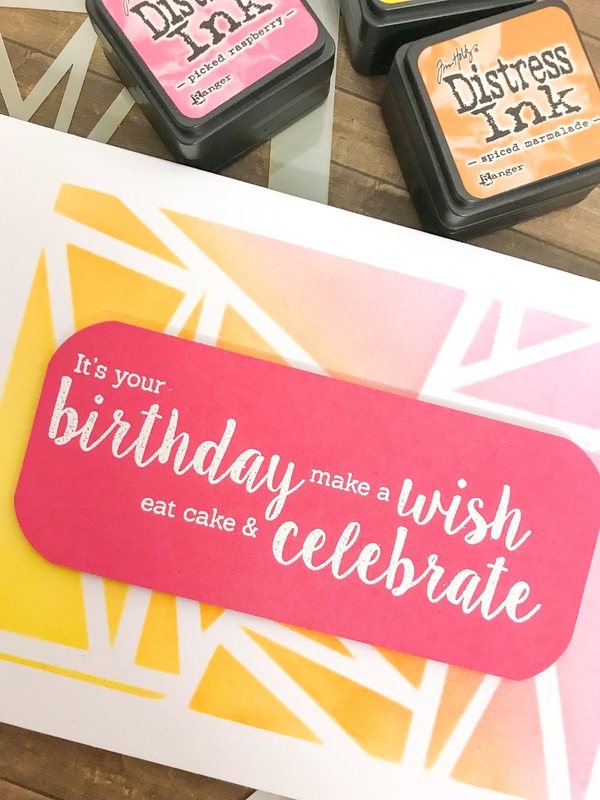 I masked the stencil to give a border on a white card base and then did some simple ink blending through it in sunset colours (Picked Raspberry, Spiced Pumpkin and Mustard Seed). 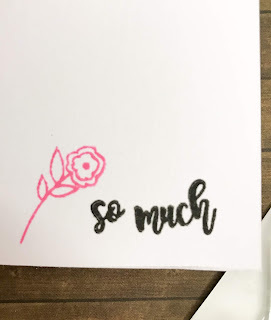 I found some raspberry pink card stock in my stash and stamped and heat embossed the sentiment onto it with some Versa Mark ink and Wow! 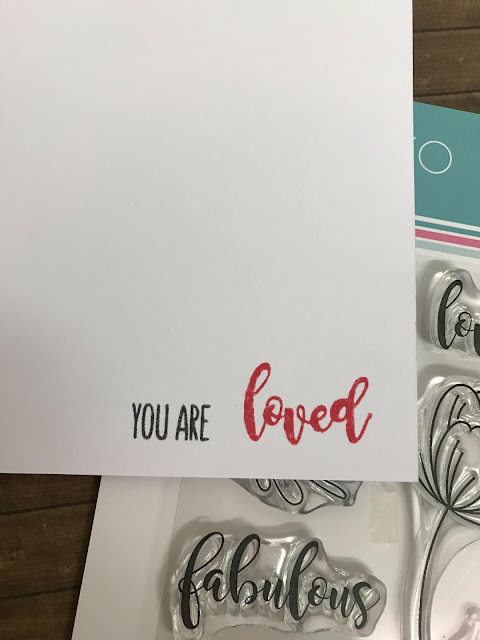 Bright White Fine embossing powder. I then trimmed this into a panel and used a We R Memory Keepers corner chomper on the edges. I wasn't sure about this as the abstract panel is very angular and the sentiment had very rounded edges, but the next day I really liked it! I simply added the sentiment on top with some foam pads. How are you all enjoying the release so far? I'm enjoying sharing all my makes. Please stop by all the DT members and Bev to see what they've created too. I'll be back tomorrow with another card. Happy Crafting Everyone! 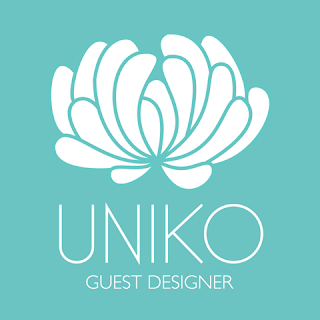 I am delighted to be back as GD for Uniko, most especially as it is their 7th Birthday. For any company to get to 7 years is a huge achievement, and most especially for a small company. My hat is off to Bev and all that she does. Having started a small business last year, it's hard, hard, hard, hard work, but so rewarding! I've used the dies that coordinate with the stamp set to add some big & bold writing to this birthday card. 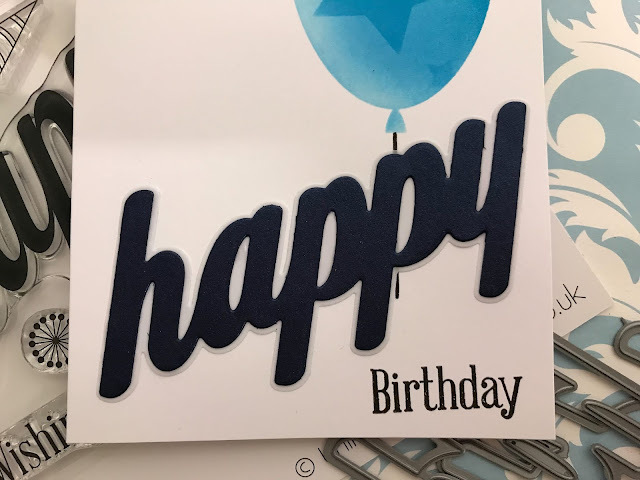 I've die cut the happy word from some scrap cardstock in shiny dark blue and the bigger outline in vellum to add contrast. 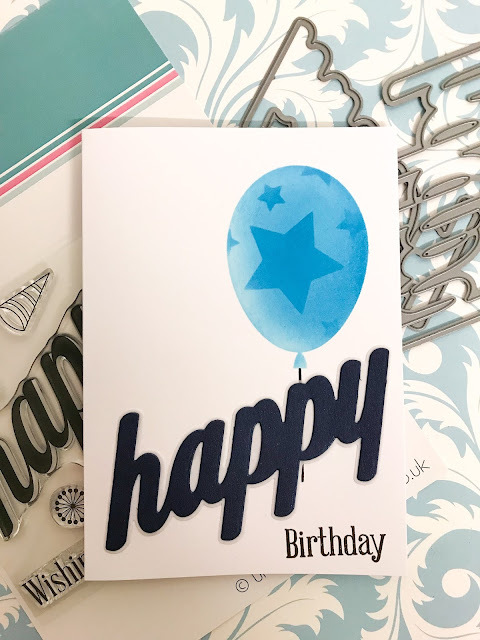 The balloon bash stencil was ideal to add something into the corner of the card and I used some distress oxide in mermaid lagoon. The seeing stars stencil I added on top again in mermaid lagoon oxide ink and as it was a second layer, it looks darker - a tip I got from a blog post of Lisa's. 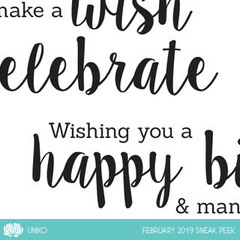 The die is so bold and eye catching, it didn't need anything else on it other than the word birthday. Such a useful and quick and easy set - another card for my stash! 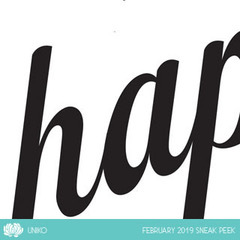 Stick around for more sneak peeks this week and definitely release day on 11th. 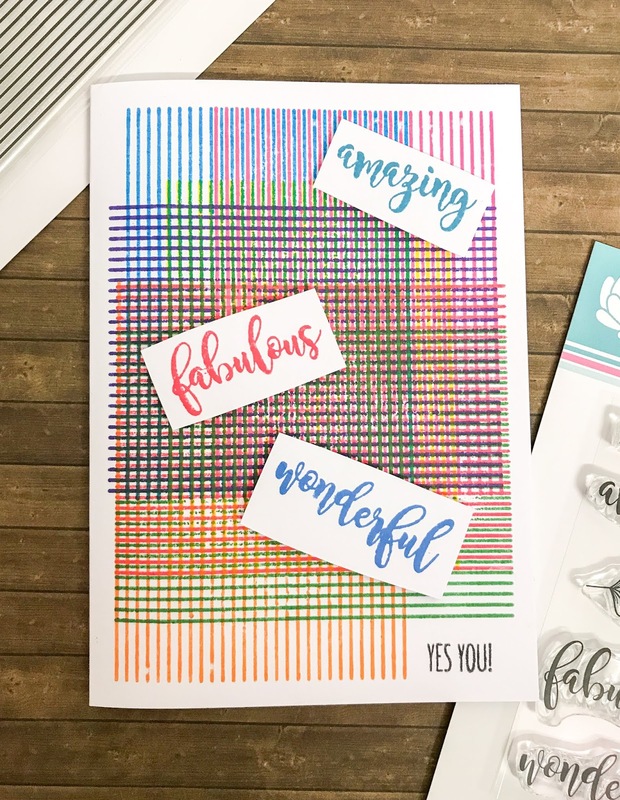 There's a fab blog hop and an amazing prize! Happy crafting everyone! I've been paper crafting and card making for three years now, grabbing time when I can in between looking after two children. When I started my children napped, but now they are older I have to find time in evenings and when they telly is on :) Happy Crafting Everyone! 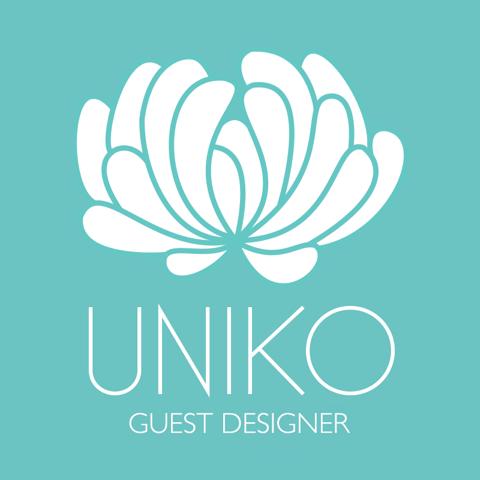 Thrilled to be a Uniko GD!